When I was first saved I remember wondering which Bible version I should use. The pastor of our church used the NIV. When I was a child I had a KJV Bible that my parents had given me. But when I first began having the desire to know God and His Word I was not sure which version of the Bible to buy and use. I finally settled on the Open Bible in the New American Standard Version. It was touted as the best English translation of the “best Greek and Hebrew texts” as I recall. 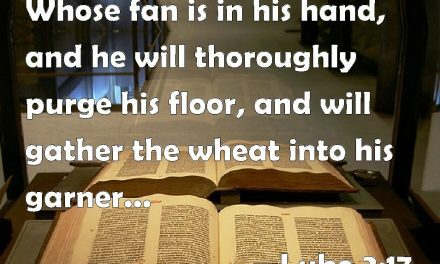 I wore that Bible out within a couple of years and continued to buy the NASB version of the Bible and was encouraged to do so by my Bible School professor at Tyndale Bible School and Seminary which I enrolled in about three years after I was saved. The theory set forth by the school was that it was best to depend on the research of the “Bible text critical sdcholars” to determine what the original Greek, Hebrew and Aramaic text should be. They held that the very original letters and books were the only texts that had the inspiration of God and that as time went by and copies were made that more and more errors of the copyists crept in. Therefore it was best to attempt to recreate the original texts by the work of the textual scholars and that the churches should depend upon their work. To a young in the faith Bible believer such as myself that sounded like the most logical approach to take. Tyndale Bible School and most evangelical schools that still hold to the doctrine that the Bible is inspired by God and thus is God’s Word and His only source of the revelation of Himself and absolute Truth to mankind are to be commended for this stance. However, there is one important doctrine that they do not hold, and that is the doctrine that God also has preserved His word. I will not use this article to address the doctrine of the Divine inspiration of the Bible. I hope and trust that all who read this will have a good and proper understanding of that doctrine already. But this article will be dedicated to showing that God not only inspired His Word, the Bible, but that He has also preserved His Holy Bible throughout all generations. I am indebted to David Cloud’s research and writings on this topic that helped set me on a path of understanding the proper, faith based view on this important matter. He has done extensive research and has helped many men to know why it is that we hold to the King James Version of the Bible as the best English translation of God’s inspired and preserved Word. As Cloud states I will also say this to make it clear. We do not believe that the King James Version itself is directly inspired by God into the English language. That is the view held by Peter Ruckman, Gail Riplinger and some others. No, it was the original Greek and Hebrew and Masoretic texts that were directly inspired by God, not the English KJV. But, and this is important, we do hold that God has preserved His original texts through copies maintained by faithful churches through the generations and that these were used to translate the Bible into the English language of Tyndale’s New Testament and then later into the complete King James Version of the English Bible. So, from whence does this doctrine of God’s preserving of His Word derive? Where else should any doctrine derive but from the teachings of the Bible itself, for it is God’s infallible word! 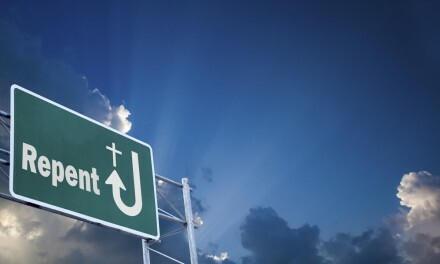 Just as we hold to all the doctrines of our faith by faith in what the Bible teaches on these doctrines, so we should hold to this important doctrine as well–by faith in what the Bible declares. Let’s see what the Bible has to say on this doctrine of God’s preservation of His Word. First is its origination and its preservation in heaven as we read in Psalm 119:89 “For ever, O LORD, thy word is settled in heaven.” The word settled is from the Hebrew NaTZaB (Strong’s H5324) and is translated most times stand or set and one time it is translated establish. We see the sense then that God’s Word is settled in heaven because coming from the unchanging LORD God it takes its stand, is set firm, established and for ever it will remain the same. So heaven is its origin and there it is preserved if you will, for ever. See also Psa. 33:11; 119:152, 160; Matt. 24:35; 1 Pet. 1:25. Even each and every letter of each one of the words of Scripture shall endure forever as Jesus said in Matt. 5:18. Jots were the smallest letter of the Hebrew alphabet and yet an important role in the composition of the words. The tittle was the small mark that was used to distinguish certain letters from other similar letters. Second, we see the charge that the LORD gave through Moses to the children of Israel before they entered into the land of Canaan (and this command still stands to all believers in the churches of God today) about the exactness of the words of the Bible that was to be observed and kept. See what it says in Deuteronomy 4:2 “Ye shall not add unto the word which I command you, neither shall ye diminish ought from it, that ye may keep the commandments of the LORD your God which I command you.” Thus we see, that with men of faith in the God of the Bible, nothing is to be added to nor taken from God’s Words (see also Pro. 30:5-6; Rev. 22:18-19) . Believers in God, the Israelites in the Old Testament period and the Christians of the New Testament period are the ones responsible to take care that God’s Word is preserved exactly. We see the necessity for this in the last part of the verse “that ye may keep the commandments of the LORD your God.” For us to be able to “observe all things whatsoever I have commanded you” as Jesus charged His apostles to teach everyone who would believe the Gospel and be baptized, then we also must preserve His Word exactly and make sure it is passed on to the next generation of faithful Christians. Third, we find who among the Israelites was responsible for the preservation of God’s Word in Deuteronomy 17:18-19 where it reads “And it shall be, when he (every future king in Israel) sitteth upon the throne of his kingdom, that he shall write him a copy of the law in a book out of that which is before the priests the Levites; And it shall be with him, and he shall read therein all the days of his life: that he may learn to fear the LORD his God, to keep all the words of this law and these statutes, to do them:” It is noteworthy that it was the priests of the tribe of Levi that were to keep a preserved, exactly accurate copy of the Word of God, the Bible if you will, with them at all times. For they had great responsibilities to keep it exactly in their duties. The king also was to keep an exact, accurate copy so that he could carry out the commands of the Law so that he could rule in the manner that God would have him to do, with Justice, Mercy and Humility! See Micah 6:8. Interestingly, born again believers in the New Testament are called “kings and priests unto God and his father” (Rev 1:6) and a “royal priesthood” (1 Pet 2:9). Since we as born-again Christians, believers in and faithful to the Lord Jesus Christ, our Great High Priest, are now the “chosen generation” until the Rapture takes us home to our Lord and Savior, we are the ones responsible to continue the earthly aspect of the preservation of God’s Word, the Bible. I will not go into the history of that preservation and the details of how it was carried out, other than to point to a verse that helps us see how the details were ordered by God to be carried out in the New Testament period. It is found in 1 Timothy 3:15 where Paul told Timothy something special about the local church and its place in not just the proclamation but also the preservation of the Bible. Paul called it “ … the house of God, which is the church of the living God, the pillar and ground of the truth.” A pillar is a post, either of wood, metal or stone and is simply something upon which another thing can be placed so that it won’t fall or collapse, especially a building. But Paul is not talking about a church building here. 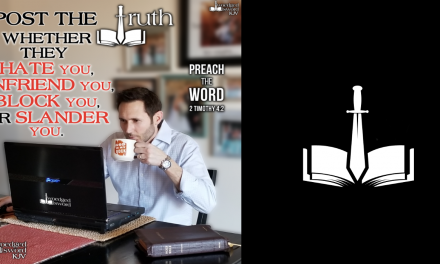 The object the church supports is “the truth.” As Jesus said in John 17:17 “Thy word is truth.” But there is something else between this pillar and the Word of God that preserves it. That is the word ground. This word is Hedraioma (Strong’s G14777) and is derived from Hedraios (Strong’s 1476) which is translated in the AV “steadfast 2 times, and settled 1 time.” Notice now what we can compare. 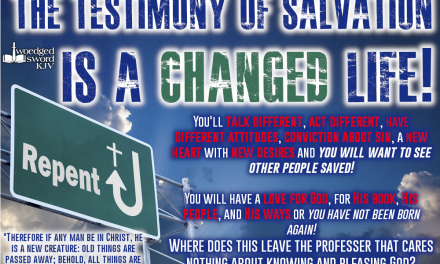 The local churches comprised of born-again faithful followers of the Lord Jesus Christ, the kings and priests of this age of the Lord’s churches is that which God has used and will continue to use throughout this age to keep His word “settled” on earth, just like it is in heaven as we saw in Psalm 119:89! Also see John 14:23 where the word keep is from the Greek tereo (Strong’s G5083) which is also translated reserve 8, observe 4, watch 2, preserve 2, keeper 1, hold fat 1 times. It has the idea of observing as in obeying what you have read in God’s word, and also of guarding it from loss or injury. The final point I will use in this article is what we find in Psalm 12:6-7 “The words of the LORD are pure words: as silver tried in a furnace of earth, purified seven times. Thou shalt keep them, O LORD, thou shalt preserve them from this generation for ever.” The LORD is the One who has forever and will into all eternity preserve His Word, not just in heaven, but also here upon this earth. And as we have seen in previous verses, it is His faithful, Bible-believing saints in both the Aaronic priesthood of the past age and the churches of the present “royal priesthood” age that have and ever will continue to have the responsibility to carry out this most important work. I believe that the Greek New Testament text and the Massoretic Hebrew and Aramaic text, available and used by the King James Version translators were and are in fact that preserved original text. And we easily see that the King James Version is the best English translation of the God preserved and settled Hebrew, Aramaic and Greek texts in the earth today. Further we see that it is the only present English translation that is as faithful to the original preserved texts as any version today can possibly be. But let’s move on to our verse at hand. We find the pureness of the words of God, found in the Bible, established by the Psalmist. There is little disagreement among Bible believers in that regard. However, verse 7 is where the dispute takes place. We find in verse 7 the following declaration “Thou shalt keep them, O LORD, thou shalt preserve them from this generation for ever.” We see that it is the LORD God Himself who does and will continue to keep them and preserve them for ever. There is no dispute over the fact that it is the LORD that is doing the keeping and preserving for ever. The controversy comes as to what, or to whom, the pronoun “them” is referring. The majority of commentators over the years have taken “them” to be referring to the godly man and people who suffer from the hands of those in power who oppress the poor and needy of the land. There have been a few commentators over the years who have seen “them” as referring to God’s Word. And some see “them” as referring to both God’s Word and the godly,poor and needy faithful in verses 1-5. But are we to be counters of noses? Should we always follow the majority? Sometimes it is wise, but many times it can lead to trouble and error. It is true that God does preserve His people. Though they might suffer injustice, just as our Lord did and many of His saints have down through history, God ultimately delivers them when they go home to glory. But notice in Psalm 12:4 it says of these wicked oppressors who reject the Word of God and the God of the Word, “Who have said, With our tongue will we prevail; our lips are our own: who is lord over us?” That my friend is the attitude of every man who is an enemy of God and God’s people. They reject God’s Word and His authority over them and fancy themselves their own masters, able to deal with all issues as they see fit! Such is the condition of all the lost. And they are simply falling for the Serpent’s lies against God and His Word, just like Eve did in Genesis 3. But notice verse 5. God says “For the oppression of the poor, for the sighing of the needy, now will I arise, saith the LORD; I will set him in safety from him that puffeth at him.” Notice what God calls the words of the wicked, words that puff. There is no substance, no God given authority behind their words, even though they temporarily hold power over the heads of the godly. Now the Lord introduces that by which He will deliver His saints, in verse 6 “The words of the LORD are pure words ..” like the purest of silver. Simply looking at the English KJV, we would immediately understand the “them” in vs 7 as referring to God’s words in vs 6. But the Hebrew is not quite as clear and has led many commentators astray at worst or into an incomplete understanding at best. I hope not to bore you with a bunch of grammar details, but it is important that one understands one of the general rules of Hebrew Grammar in this Psalm. OT Hebrew is similar to NT Greek in that the nouns and pronouns not only have Number (Singular and Plural) but they also have Gender, that is Masculine and Feminine noun and pronoun forms. [This is lacking in the English language] Those that reject this Psalm as referring to God’s preservation of His Word on earth, do so because of one of the general rules of grammar for translating the Hebrew text. As in English, the number of nouns and pronouns must match each other, Singular(S) with Singular(S) and Plural(P) with Plural(P) like the English “boy and him” or “boys and them.” Also, the Genders [Masculine(M) or Feminine(F)] of nouns and pronouns must agree is the general, or normal rule in Biblical Hebrew. A Masculine(M) noun must have a Masculine(M) pronoun refer to it. A Feminine(F) noun must have a Feminine(F) pronoun refer to it. However, as most who have studied OT Hebrew know, sometimes there are exceptions to the normal, or expected, rules. But let’s look first at the application of the normal rule here in our verses. The nouns “godly man, poor and needy” in verses 1 through 5 are each Masculine in Gender and Singular in number (M-S) and the word “faithful” in vs 1 is Masculine Plural(M-P). The Pronoun “them” in vs 7 is Masculine-Plural(M-P). Grammar would allow “them” to refer to a group or pair of Masculine Nouns that precede it, which it does in this case: godly, poor, needy (each M-S, 2 or more = Plural) and faithful(M-P). The Hebrew word for “words” in verse 6 is Feminine-Plural (F-P). And the normal rule governing Hebrew pronoun usage would dictate that the noun “words” (F-P) of verse 6 not be that which the pronoun “them” (M-P) of verse 7 is referring. And on initial examination of the text and grammar this would settle the issue that “them” in verse 7 is referring to the “godly, poor, needy” and “faithful” of verses 1 through 5—and not to the Words of the LORD of verse 6. But this would be an incomplete investigation if we stopped our observation at this point. Please stick with me though and I hope to make it worthwhile for you. I am very grateful for an article I read several years ago, and I cannot recall who wrote it or where I read it, but its content has stuck with me. It may have been a newsletter article from Way of Life. The writer presented an observation that among the exceptions to this general rule, where we find a Masculine-Plural (M-P) pronoun refer to a Feminine-Plural noun can be found in several instances in the magnificent Psalm 119 that is devoted to the praise of God for His marvelous Word. I marked them in my Bible and checked out the grammar on each of the verses and sure enough, the noun is F-P and the pronoun is M-P in each and every case. That is very unusual to say the least! Consider the following verses. Psalm 119.111 “Thy testimonies have I taken as an heritage for ever: for they are the rejoicing of my heart.” The word testimonies is F-P and the pronoun they is M-P. Notice whose testimonies it is that is being referred to, just as whose words were addressed as belonging to in Psa 12:6. Psalm 119:129 “Thy testimonies are wonderful: therefore doth my soul keep them.” Again, here the word testimonies is F-P and the pronoun them is M-P. Again it is the LORD’s testimonies that are addressed. Psalm 119:152 “Considering thy testimonies, I have known of old that thou hast founded them for ever.” Once more, testimonies is F-P and them is M-P. And it again is God’s testimonies that are praised. Psalm 119:167 “My soul hath kept thy testimonies: and I love them exceedingly.” Testimonies again is Feminine-Plural and them is Masculine-Plural. We see now four instances where there is an exception to the normal Hebrew pronoun gender rule. In all four of these the feminine noun is owned by the masculine gender God, Elohim, Jehovah. The masculine pronouns in these verses in Psalm 119 cannot refer to anything other than the immediately preceding feminine nouns. The gender of the proper noun LORD, or Jehovah, which is Masculine-Singular seems to override the possessed noun’s gender–testimonies are all Feminine gender . I believe this same exception to the rule, and reason for it, occurs in Psalm 12:6-7. For this reason I believe that the pronoun them in Psalm 12:7 is referring to the LORD’s words of verse 6. If that be the case (the interpretation previously concluded), and I am persuaded thoroughly that it is, then we see clearly and convincingly that God not only inspired His Word, the Holy Bible in its original languages and manuscripts, but also that He has, does and will continue to preserve the correctness of His Words in the Received Text and the Massoretic Text, from which we have received our King James Version of the Bible. And as the LORD mentioned in verses 5 and 6, He will use His preserved and guarded Word to keep and preserve His saints, those who have been born-again, bought by the Precious Blood of our Blessed Lord and Savior Jesus Christ! And as we believe this preceding statement based upon our understanding of the words of Scripture, we can strongly embrace this doctrine of God’s preservation of His Word–by faith in what we read in the Scriptures. It is a faith based Bible position. It is not a doubtful, critical position as put forth by the scholars (unfaithful to God’s Word for the most part) and the supporters of the critical texts and the plethora of Modern Bible versions based upon their works. There have been a multitude of wicked generations throughout history that have “puffed at” God’s people. Some have succeeded in killing God’s people and almost destroying all copies of the Bible. Witness the Inquisitions conducted by Roman Catholicism. Witness the Communist regimes of Russia, Eastern Europe and China in the twentieth century. Witness Islam’s spread of its religion by the sword that killed countless Christians throughout the Middle East, Northern Africa and parts of Europe in past centuries, and even today. And these are but a few examples. But throughout all the generations of the history of this earth since the time of Moses, God has always had copies of His inspired and preserved Bible for His saints to believe in and withstand the ills that wicked men and kings have hurled at it and them. I am convinced beyond not just a reasonable doubt, but beyond all doubt that we have in our hands in the King James Version of the Holy Bible, the best English translation of God’s infallible, inspired and preserved Word, and every one of His words. Please do not rely upon the words of scholars just because they are educated. They too are mere men. Many, but not all, and especially the critical scholars, since the 1800’s have been unsaved and/or unfaithful to the God of Scripture and His Word. If you have in your hands the King James Bible you have all you need, along with a Strong’s Concordance and a good Bible dictionary to be able to read, study and understand every word of God. Pastors and teachers are men gifted by God to help you in your knowledge and understanding of the Bible, but even their teachings you should check out by the Word of God (Acts 17:11). For His Word, the Holy Bible is our final authority. May the Lord bless you richly as you read, study and meditate on His precious Word! For further study on the King James Bible issue I urge you to go to the Way of Life website and see the great collection of articles and books that David Cloud has available there. He just might be the best researcher of our day on this subject. His work has helped me greatly on this issue of Which Bible is to he used in God's churches. Also, you might check out the Trinitarian Bible Society's website for articles and the history of the AUthorized Version of the Bible. If you are a student of NT Greek and/or OT Hebrew and would like a non-critical text of the NT or OT check their website. 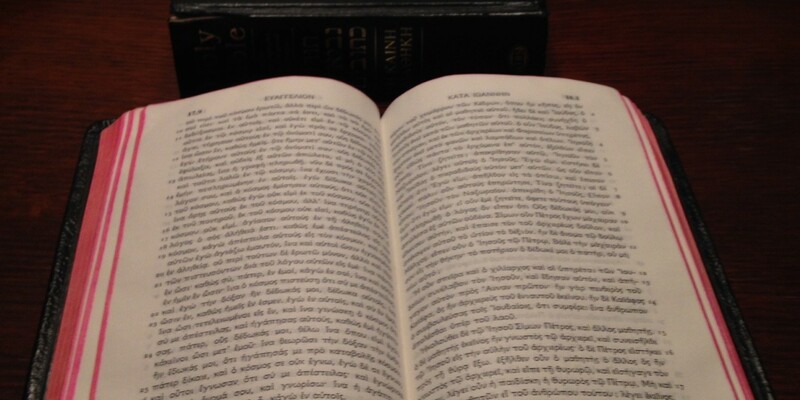 Besides KJV English Bibles they also have available Greek texts faithful to the texts used by the KJV translators of the New Testament, and Massoretic Hebrew Old Testament texts as used by the translators for their Old Testament work. PreviousWhy was He Born ? NextWhat is God’s Will for My Life?